I just found the HTML5 File API the other day so I had to see what I could do with the APEX Listener's RESTful services. There's a bunch of blogs on what can be done such as on HTML5rocks . The next step is to make the HTTP Headers into bind variable so the plsql block will be able to use them. 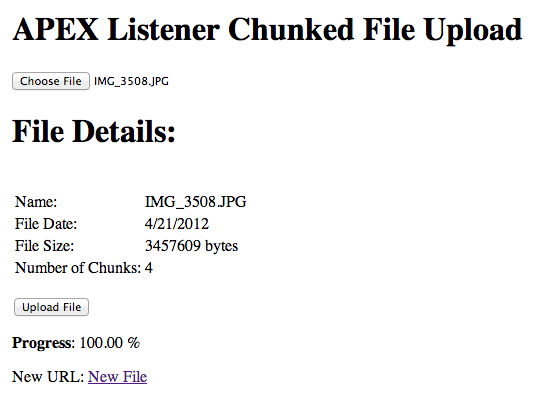 -- If there is a file already with this name nuke it since this is chunk number one. A very simple html page for testing it all out. Here's a quick video of how it all works.